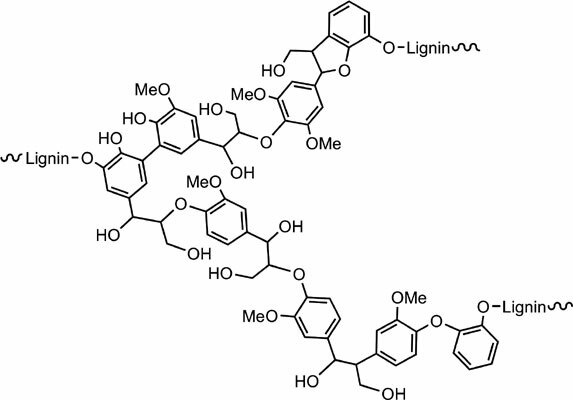 Lignin is a natural polymer composed primarily of phenylpropanoid structures with an abundance of reactive groups: aliphatic and aromatic hydroxyls, phenols, and carbonyls. Considering the large quantity of hydroxyl groups, lignin has significant potential as a replacement for petroleum-based polyols in polyurethane (PU) synthesis and as a value-added, renewable raw material for this purpose. Several methods of lignin-based polyurethane synthesis are reviewed in this paper for reactive and thermoplastic systems: direct lignin incorporation, chemical lignin modification and depolymerization. Despite the unmodified lignin low reactivity towards diisocyanates, its direct incorporation as polyol generates highly brittle PUs, but with proper performance when applied as adhesive for wood. PU brittleness can be reduced employing polyols obtained from lignin/chain extender blends, in which glass transition temperature (Tg), mechanical properties and PU homogeneity are strongly affected by lignin content. The potential applications of lignin can be enhanced by lignin chemical modifications, including oxyalkylation and depolymerization, improving polyurethanes properties. Another PU category, lignin- based thermoplastic polyurethane (LTPU) synthesis, emerges as a sustainable alternative and is also presented in this work. Lignin, polyurethanes, organic synthesis, thermoplastic, depolymerization, lignin modification.